The Inter-American Commission on Human Rights worked on its Strategic Plan for 2017-2021. The new plan will serve as the IACHR’s primary institutional management tool and will establish priority mechanisms designed to help the IACHR successfully carry out its mission and confront current and future challenges involved in addressing and protecting human rights in the Americas. The IACHR decided to hold public consultations on the development of its 2017-2021 Strategic Plan. Participation by society will help to expand the analysis of the regional context, evaluate the plan’s proposals, and generate a more democratic and transparent culture within the institution. Read more on this press release. Press Release 54/17 - IACHR Presents its Strategic Plan 2017-2021. Press Release 3/17 - IACHR Continues Work on the Participatory Development of its Strategic Plan and Invites Civil Society to Regional Consultations. 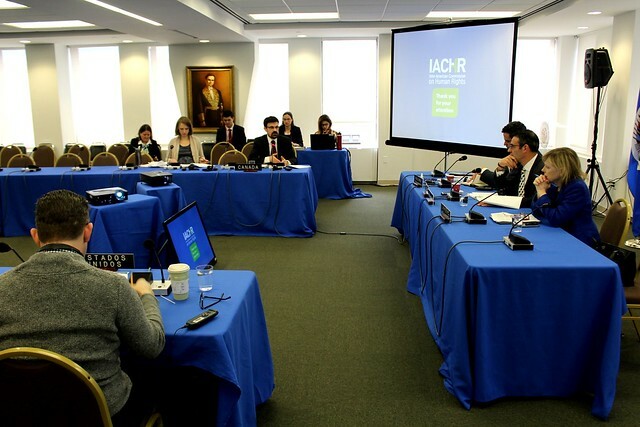 Press Release 74/16 - IACHR Urges Member States to Redouble Efforts to Overcome IACHR Financial Crisis and Announces Consultation of its Strategic Plan.